speedtest-cli is in the Ubuntu repositories! 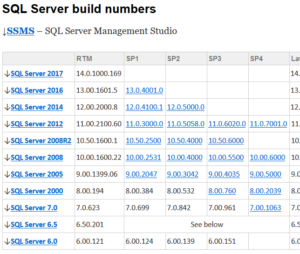 If your looking to confirm what SQL version 11.0.6594.0 is in real terms, then you will be happy to know that it is: CU8 for Microsoft SQL Server 2012 SP3 (KB4013104). But how, well there is a great set of tables over at Build Numbers that shows you! A quick pointer to the ASA software compatability tables. When checking what version you can update a Cisco ASA to, these tables do prove rather useful. Other release compatability is then provided in the other tables. If you are adding a number of users or computers within Active Directory to one or more groups it can be time consuming. I needed to add AD objects into groups, over time, sometimes with duplicate objects in the source data and the group, so created a txt file per AD group and a small script (one code block per group/file) to help with the additions. My source text files were raw lists, plain text, one entry per line. 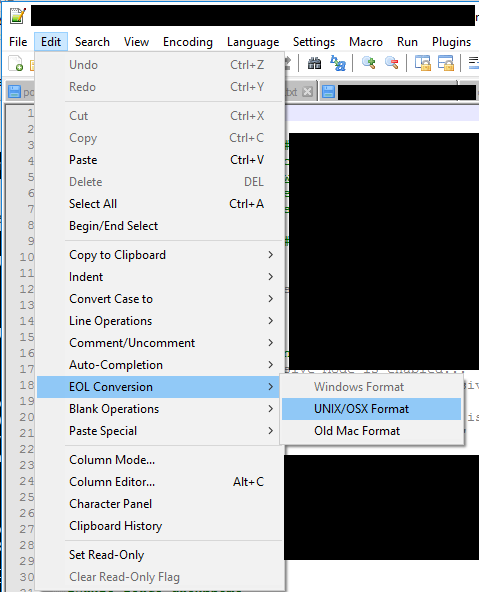 When the script is run, it will add all the entries in the relevent .txt file into the relevent group. This allows you to add to the text file with additional lines, even if there is the odd duplicate, and providing it matches a valid AD object, it will get added! 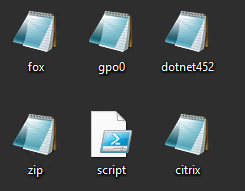 $grp = "GPO Rollout 0"
$grp = "Software - Foxit Reader PDF"
$grp = "Software - 7-Zip"
These groups were linked to GPS’s and software rollout tasks but they could be for anything, I have also used this for exchange mailbox operations and more. 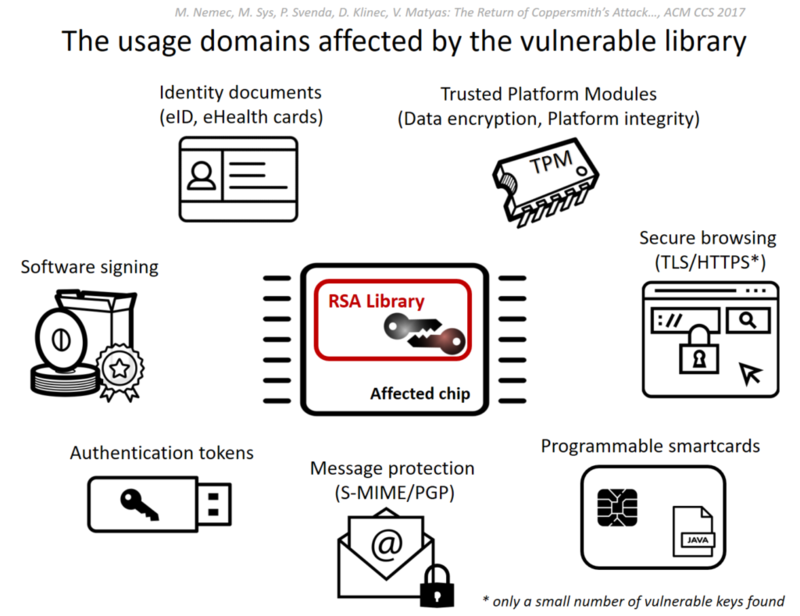 You can use S/MIME certificates, also called “Digital Certificates” or “Personal Certificates”, with most email clients to digitally sign and/or encrypt email messages. In order to digitally sign or encrypt your email, you will need a digital certificate. 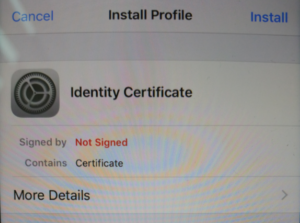 In order to use this certificate to sign email from your iPhone, you are going to need to transfer the public/private key pair to your phone, install it, and configure it for use. In this example we will build on the exchange/Office365 model, and continue where I left off on the previous post. There are a number of ways, however in every case I would recommend you secure the key with a strong passphrase and transfer as securely as possible. In this example we will send it to ourselves in an email, keeping it within the same account, that we have connected to over a TLS session. I do not recommend emailing this in any other way. We will then purge the email from the server as we need to keep this file safe. A direct file copy maybe better, so you could investigate that. For this example, we will send an email message with the certificate file as an attachment to ourselves within the same account. The file will be either a .p12 or .pfx file, that is also passphrase protected. On your iOS device, open the email message. Tap the attached file to start the installation. On the “Install Profile” screen, tap Install. You may see a warning that the profile is not signed, tap Install and then Install again. When prompted, enter the passphrase created when exporting the certificate. Tap Next, and then Done. iOS 11: Go to Settings > Accounts & Passwords. Earlier versions: Go to Settings > Mail > Accounts. 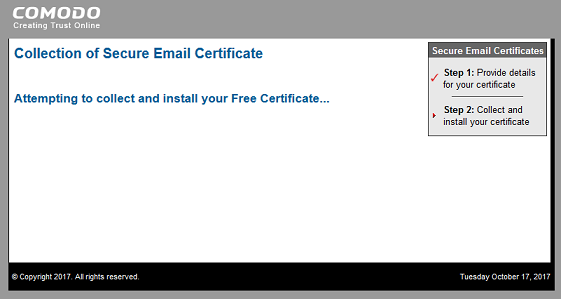 Select the email account that the certificate relates to. Tap the Account button with your IU email address. 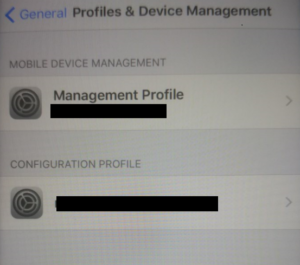 On the “Account” screen, tap Advanced Settings, then switch the “S/MIME” setting on. 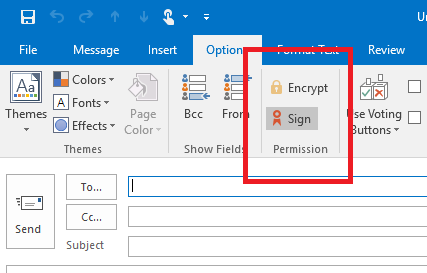 The “Sign” and “Encrypt” options are off by default. To enable digital signing, tap Sign, and then slide “Sign” to the on position. 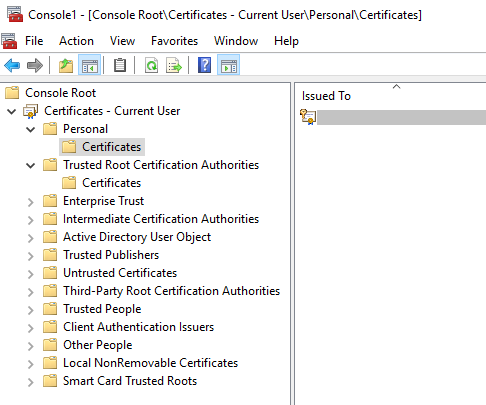 If you have installed multiple certificates on this device, ensure the check is next to the correct and current certificate. To verify, tap the right arrow to view the certificate details. 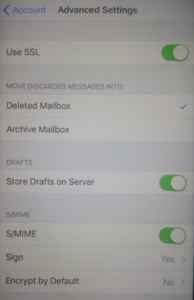 The encryption option will attempt to encrypt all email from your device, I will cover this in a seperate post and link to it here. For now, we do not want to encrypt all email sent from the account by default, so do not enable encryption. 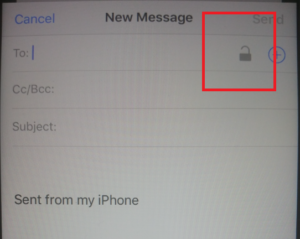 When you create an email, you should see the padlock in the top right, if so, then it’s likely all will be well. Send a test email and verify the certificate! 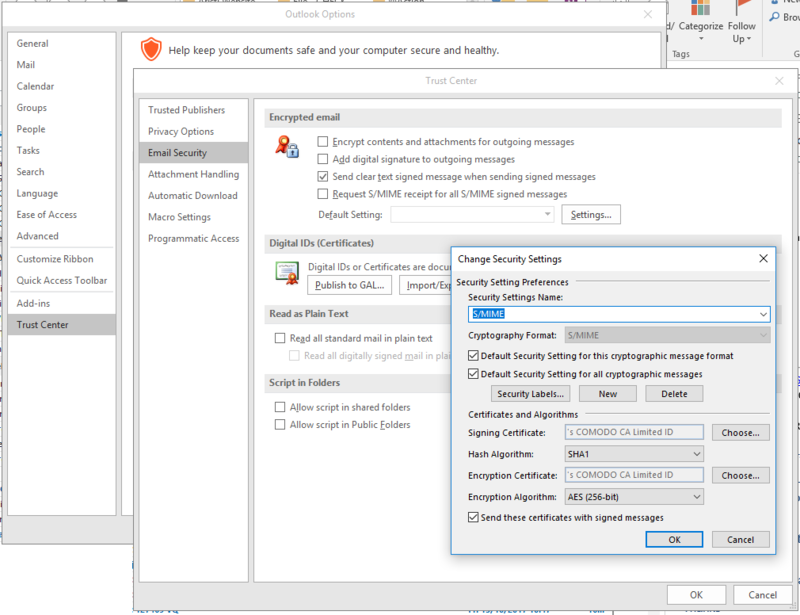 In Outlook, you will see the red rosette icon by the message as shown below. HTTP Strict Transport Security (HSTS) is a web security policy which helps to protect websites against protocol downgrade attacks by allowing web servers to declare that web browsers should only connect via secure HTTPS connections. The HSTS Policy for the site is communicated by the server to the browser via a HTTPS response header field named “Strict-Transport-Security” which sets the period of time the site should only be accessed via HTTPS. 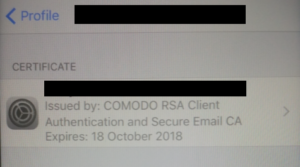 Whilst this header can not protect the first HTTPS connection to the server, it does ensure all future connections made before the expiry are over HTTPS. Each valid response also resets the time period. Header always set Strict-Transport-Security "max-age=31536000; preload"
Lastly we will need to enable the headers module, and restart apache. You will likely need to adjust the above for your needs, however on a clean server this would get you up and running. 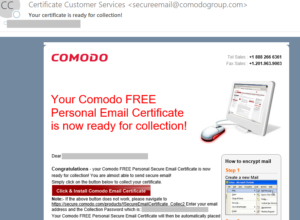 For this example, we will use the free certificate service from Comodo. Once you sign up, you will receive an email with a link to download the digital certificate. Click the link to obtain the certificate. You will then need to import it. My system automatically imported it, but as I was running Firefox it went into the Firefox certificate store, rather than the Windows Certificate Store as used by Internet Explorer. We need the certificate in the Windows Certificate Store so Outlook 2016 can use it. 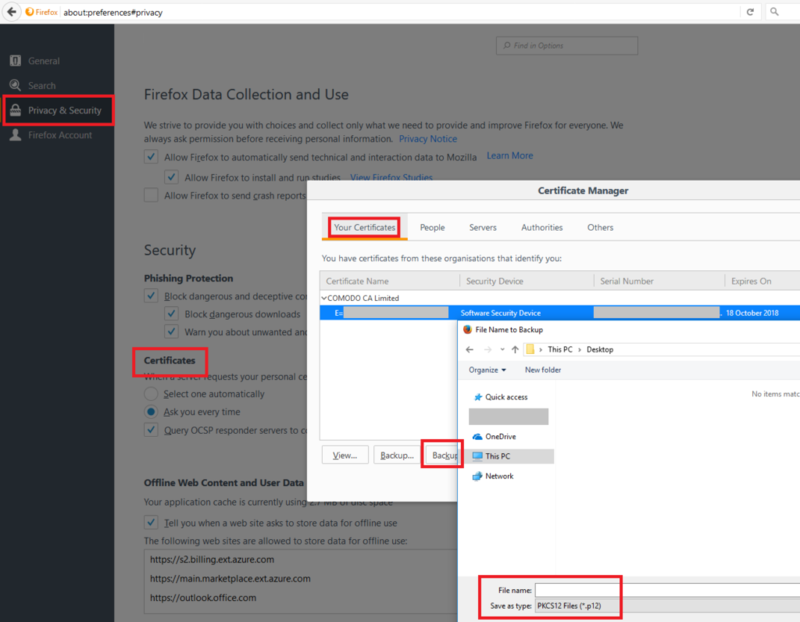 I accessed the Firefox preferences to locate the certificate. Preferences > Privacy & Security > Certificates > Your Certificate > (Select Certificate) > Backup. Choose a safe location and backup the certificate. You can also delete it from the Firefox Certificate Store. Locate your certificate file, right-click the file, and click Install PFX. On the “File to Import” page, click Next. Enter the passphrase that you used to secure the private key, click Next. 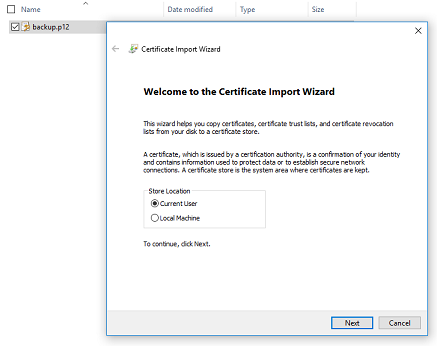 On the “Certificate Store” page, leave the default option Automatically select the certificate store based on the type of certificate. Click Next. Click Finish. To complete importing your certificate, click OK.
Also backup your certificate file (the one you just imported) to a safe and secure place. OPTIONAL: Open the Certificates MMC if you would like to double check its there. (Start > Run > type: mmc > File > Add Snap-in > Certificates). Next we need to configure Outlook 2016 S/MIME. Go to: File > Outlook Options > Trust Center > Email Security > Settings. Under the “Security Settings Name” text box, enter a name; this will simply be a label for your security settings, e.g “S/MIME”. 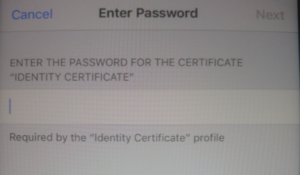 Next to “Signing Certificate”, click Choose…. Select your certificate and click OK.
Next to “Encryption Certificate”, click Choose…. Select your certificate and click OK twice. To digitally sign all your messages, check ‘Add digital signature to outgoing messages’. Sign: This option digitally signs the message so others can be sure it came from you. Encrypt: This option encrypts the message content and attachments. You will see the icon next to signed messages. Email clients not using S/MIME certificates will not be able to view encrypted email. Clients that cannot use S/MIME certificates include OWA accessed using Chrome, Firefox, and Safari. Email recipients who use one of these clients will be unable to view an encrypted email. However, all mail clients can view digitally signed email.